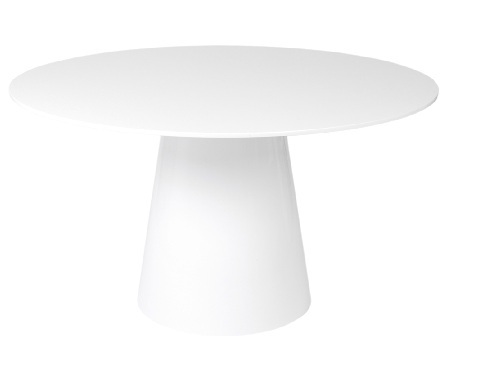 Mina Dining Table is a beautiful work of art that embodies innovation and simplicity. Boasting hardwood construction, the Mina round dining is a generous 53.5” diameters and 30” height. The gently tapered pyramid base is reflected back by the gracefully tapered top. Mina dining table is ideal for an elegant dining room or conference area.